Fall is here...there's no denying it. The crisp air in the morning, a few leaves changing colors and the presence of Apple Cider. I've never been a real fan of drinking apple cider "straight" from the container. So I always add spices to mine and heat it up for a nice warm beverage. Mmm..I can imagine it now, a steaming cup of warm spiced cider and a good book. 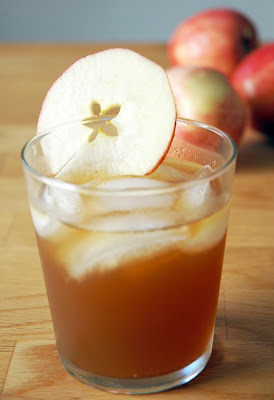 ﻿Our adult version of spiced cider contains Ginger Ale, fresh cider, and bourbon in a 2:2:1 ratio. 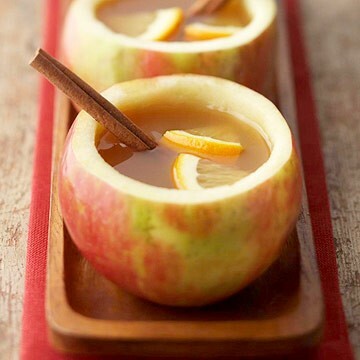 Better Homes and Gardens has a great low-cal spiced cider and a recipe to serve a party! In a small pot over medium-low heat add the apple cider, all the spices and the orange skin. Slowly bring to a boil and then turn down to a very slow simmer for 10-15 minutes. Remove from the heat and taste before stirring in the honey if needed and let sit to cool slightly if desired. If not, serve immediately, being sure to strain out all the spices and orange peel. I find our local apple cider to be very strong so I always add a little water especially to the kids drinks but do so to taste if needed. Sprinkle a tiny pinch of freshly grated nutmeg over top if desired and serve with a cinnamon stick. You can also increase the recipe if desired and place in a crockpot on low for 4+ hours if desired. 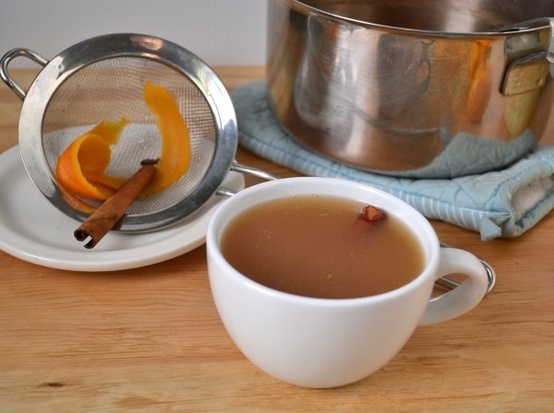 Any leftover hot apple cider can be strained to remove the flavorings and stored in the fridge to be reheated, or even frozen to drink another day or to use in baking.